In early September 1917, a coast to coast call for military men was made across the United States of America. The calls strove for a quarter of a million men to enlist in the American forces on battle fronts in Western Europe. They were asked to gather at the mobilisation camps. In the first week of September up to 30,000 men were paraded in New York. They were drawn from 26 States and the district of Columbia. This division, which was sent off to France, represented more than half of the states of the United States. Over the two years between 1917-1919, thousands of US naval personnel would be stationed in Cork Harbour and Bantry Bay, engaging in the war against German U-boats and seeking to ensure convoy security. In September 1917 in Queenstown (now Cobh) according to the diary of American Naval Commander Joseph Knefler Taussig, there were eight American destroyers – Wadsworth, Porter, Shaw, Ericsson, Jacob Jones, Paulding, Burrows, and Sterett – all helping to convoy merchant ships in the Irish sea. Their wide web of facilities in the county by war”s end comprised sites in Cobh, Passage West, Haulbowline (now the Irish Naval Service headquarters), Ringaskiddy, Aghada, Bere Island, Berehaven and Whiddy Island. Aside from their storage and barrack sites, the Americans also set up training areas, recreational centres and a hospital. The hundreds of sailors involved in these ships were quite the celebrity in the harbour and in the city. In July 1917, the officers of the Cork County Cricket Club wrote to the US embassy in London offering their pavilion and grounds at the Mardyke to the Americans should they need them. The very offer led the commanders of two of the Cobh-based vessels, the USS Melville and the USS Trippe, to think about staging a baseball match between their respective crews. it was decided to use it to raise funds to support the local Queenstown War Workers fund. It was played on a midweek July afternoon before a crowd of 3,000 people. There were many American sailors among them, but the majority were local onlookers. 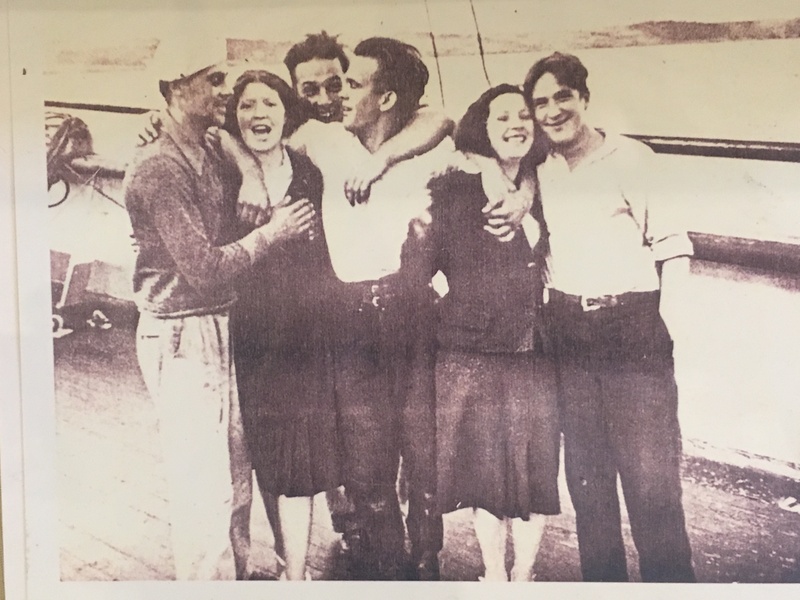 In addition, some newspaper reports (Cork Examiner & Evening Echo) noted that hundreds of young women each night were drawn to Queenstown to mix with those sailors on shore leave. That was enough to raise the tempers of some sidelined local men. In the city on Monday 3 September 1917 a party comprised of young boys hissed and jeered at American sailors whom they chanced to meet. It started in King street (now MacCurtain Street). American sailors accompanied by young girls attracted the attention of a number of young fellows, who immediately vented their resentment by jeering. They followed the sailors and girls until quite a large crowd gathered and the girls and sailors parted. They passed another number of Americans, and the crowd directed their efforts against these. The crowd followed and jeered at them to the Lower Glanmire Road Railway Bridge. Here the police intervened, and moved the crowd back towards King Street. Near the Coliseum an American sailor, standing in the portico of the theatre, was the centre of attention. It transpired he was attacked by a group of youngsters. The police continued to move the crowd along King Street, down Bridge street, and on to Patrick’s Bridge. By the time the activity had dwindled somewhat and matters were quieter. But a group of juveniles, bearing a Sinn Fein flag in front, crossed over the bridge in the direction of Bridge Street, where the police were in force. They had not gone, far when the police, with batons in hand, charged them. The party ran down Pope’s Quay, and some stones were thrown, amidst shouts of “Up Dublin” and “Up the Huns”. 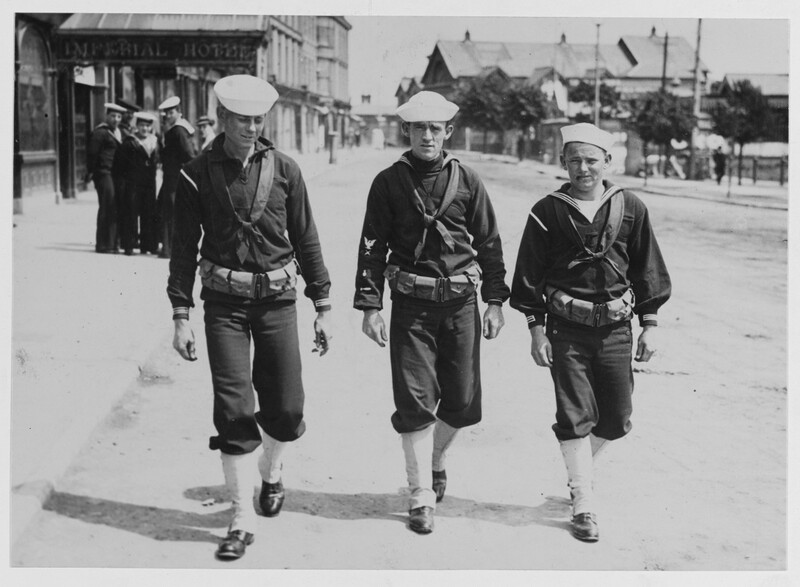 Following the city incident, the American sailors were forbidden to come into Cork City. With restricted shore leave in Queenstown there was a number of disturbances there involving American sailors and local civilians. The civilians displayed ill-feeling towards women from Cork City who had been travelling to Queenstown each night to meet the sailors. Police in Queenstown reported several incidents of disorder, but these mostly arose from the Americans arguing among themselves whilst on shore leave. Lively behaviour and a few isolated “scraps” were reported, but there were no assaults or damage to property. Local police confirmed that the glass door of a public house on King Street was broken by a party of American sailors. It is not known if the incident occurred owing to an accident or resentment on being refused drink after authorised hours. Tensions were heightened on Saturday 8 September 1917 when a Cork labourer was killed during disturbances involving an American sailor at Queenstown. The Haulbowline man, Fred Plummer, was struck by the sailor with a closed fist, his head hitting the concrete flagged footpath of the beach. Plummer was unconscious when taken to Queenstown General Hospital, where he subsequently died from what an inquest found to have been a fracture of the skull. To highlight the social history of the American Navy in Cobh in 1917, an exhibition has been researched and prepared by archaeologist and historian Damian Shiels. It is designed and produced in association with Sirius Arts Centre, Cobh and is on display till 17 September. It is entitled Portraits: Women of Cork and the U S Navy 1917-1919 and explores the marriage of some American sailors and Cork women. There is also some great information on this era on display in Cobh Museum.